It’s hard to believe that the back-to-school season is slowly approaching. It feels like just yesterday I was sending the twins to their welcome week of camp! However, if your kids are finally flying the nest and moving off to college, we’d like to congratulate you for a job well done! This fall, college students will embark on one of the most exciting journeys of their lives and for parents, this means helping your kids stock up on the essentials. This process could be endless if you’re unsure of what to pack. Thankfully, we’re here to help. We’ve asked around the office and compiled some of our team’s favorite move in must haves. It feels like just yesterday I was packing up and leaving for college. If there is one thing I will attest to, it’s that aches and pains are inevitable with college mattresses. However, a mattress topper can help with this problem. 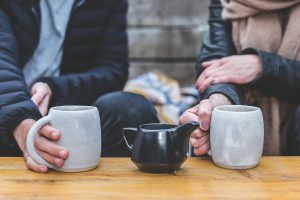 Our team recommends visiting your local retailer and investing in a comfortable mattress topper for your recent high school graduate, as living away will be hard enough without aches and pains. 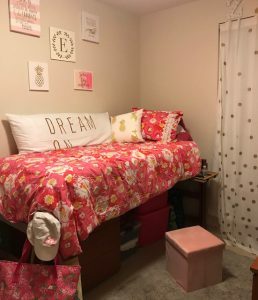 Dorm rooms (somewhat rightly) have a bad reputation for their smell. 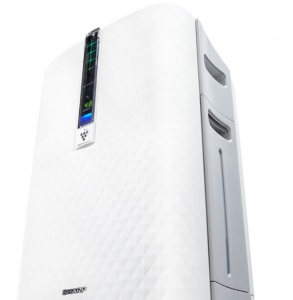 Sharp’s Plasmacluster Air Purifier can ensure your student’s dorm always stays fresher and inviting. The True HEPA filtration system removes 99.97% of airborne pollutants including allergens such as dust, pollen, pet dander, and smoke from the air that passes through the filter. The charcoal filter does most of the heavy lifting when it comes to removing odors. 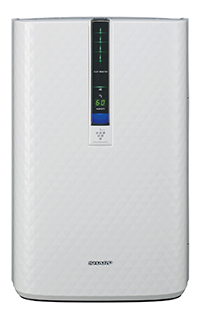 In addition, Sharp’s patented Plasmacluster Ion® (PCI) technology actively cleans the air throughout the whole room by breaking down pollutants like germs, airborne and surface-adhering bacteria, fungus, mold, viruses – even mildew and laundry odors near the clothes hamper. If your young adult’s college is in a particularly arid part of the country, or if winter-time space heaters and radiators heaters dry out the air, their skin, hair and even your nasal passages, some Sharp® models can provide balanced humidity. We’re not suggesting that their roommate will arrive with a moldy, germ-ridden, chain-smoking, long-haired cat with a litterbox and a space heater, but wouldn’t you rather be prepared? The best part is that the filters can last for up-to-5 years, so you may not have to replace them the entire time they are in school. So get an air purifier in their freshman year, and fight off stale “dorm room smell” for your entire stay. Dining hall food can get old pretty quickly. Plus, walking through campus in bad weather isn’t always an option. When I was in college, winters were so bad the cafeteria would close! 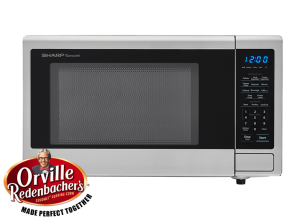 Make sure your student has plenty of backup options with a Sharp’s Orville Redenbacher® Certified Carousel Microwave in their dorm room. Not only is it the perfect way to escape the dining hall, but it also will provide them with all the late-night study snacks they’ll need! 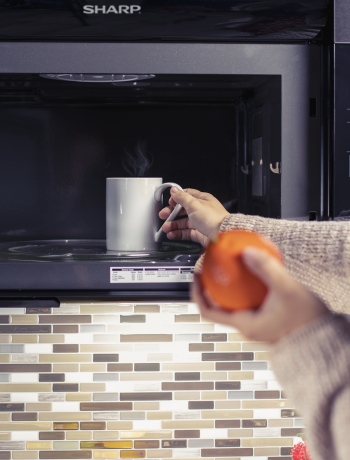 We have a few quick reads that provide microwave cooking and cleaning hacks. Our personal favorite? Popcorn, of course! One product I wish was available when I was a college student is Sharp’s Superheated Steam Countertop Oven. 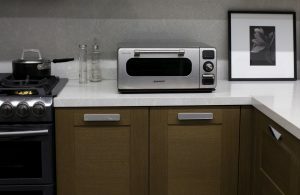 Roomy enough for a 12” pizza or 9 slices of toast, this instant, no pre-heat or defrost required countertop oven is a dorm room MUST have for any student, especially if they aren’t a fan of their colleges dining hall menu. It even comes with a crisper tray and broiling pan, which is perfect for sheet pan dinners! 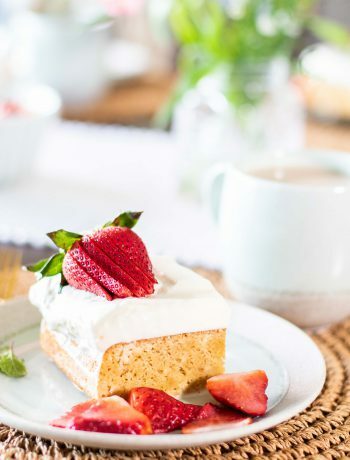 Visit our recipes tab for quick and easy recipes for any dorm room appliance. Late night study sessions would not be possible without a little boost of caffeine. Depending on the university, dining halls could close as early as 7:00pm and most first year students are not permitted to have a car on campus. With this in mind, our team unanimously agrees that a coffee machine is another must have appliance for this upcoming college term. 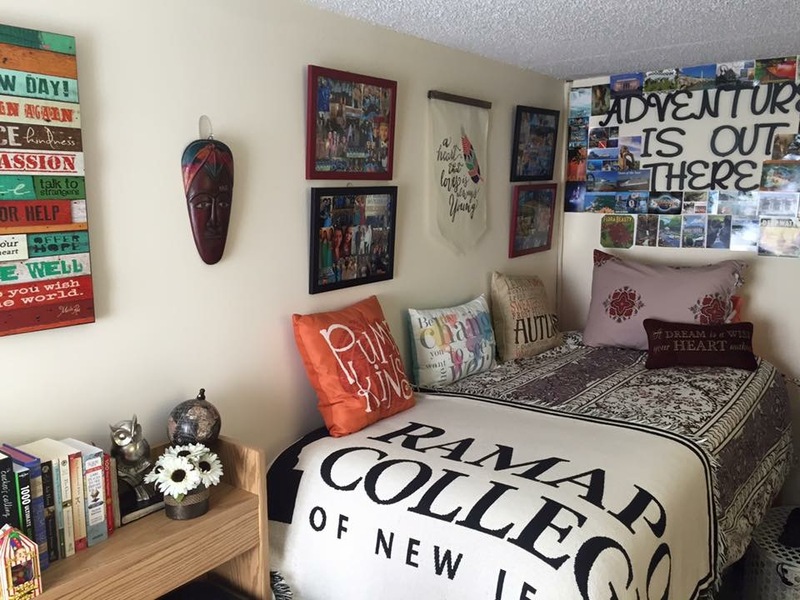 Unfortunately, most first year student dorms are not the largest housing arrangement. Your child will most likely have to adjust to sharing a bedroom with one or two other students. As you can imagine, this leaves very little room to store their necessities—clothes, food, self-care products. Luckily, we have a few tips and tricks to help your student optimize their space and make it their own. First off, storage containers and bed lifts are a must for the upcoming semester. Our team recommends purchasing the large three drawer containers to create a makeshift dresser underneath your bed. 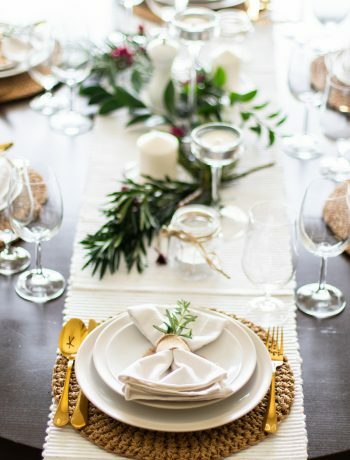 When sending my niece off to college just two years ago, we purchased plastic storage containers that had a wicker finish to them to really create the furniture look. When purchasing bed lifts, we chose matching wooden lifts that would securely attach to the bed and lift it several more inches. 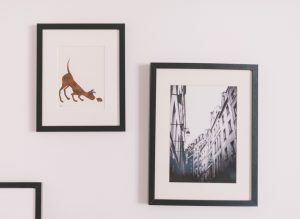 To decorate those concrete walls, consider purchasing self-adhesive hooks to avoid creating pesky holes with push pins. We bought tons of these for my niece and hung picture frames, canvas’s and posters safely and easily. Whether you’re a fan of the “built-in closet” or not, it can be an eye sore to have a closet without any doors to close. When we moved my niece in, we purchased collapsible curtain rods in the bathroom section of our local store and created our own “door” if you will. Simply pick out curtains that match with your student’s bed spread and fit the curtain rod to the open closet space. New Jersey retailer goes hyper-local to drive bricks-and-mortar sales No Guts, No Heart… No Leadership!